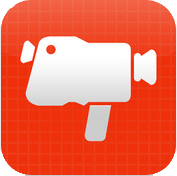 Socialcam has been billed by many as “Instagram for video,” and in many ways, it is. More than just a standard video app, Socialcam has many advanced features that allows video to be shared in some never before seen ways, opening up a new world of social sharing. What separates Socialcam from competitors are the features. Socialcam allows users to do a bunch of really amazing things, including taking video using various filters, applying a soundtrack to the video, allowing for unlimited video lengths (as opposed to the 10-20 second limit on many other apps), and really easy sharing capabilities via Facebook, YouTube, Twitter and Tumblr. All the videos taken using Socialcam are stored in the cloud, freeing up phone space, and allowing for easy access and sharing among friends. The app also allows, like the Instagram format, to favorite and comment on friends videos, and be notified when new videos are uploaded by followers. Videos can then be watched anywhere! Use an iPhone, iPad, or laptop to view anytime. Click here to download Socialcam for free! What Kind Of Free Apps Do You Want? 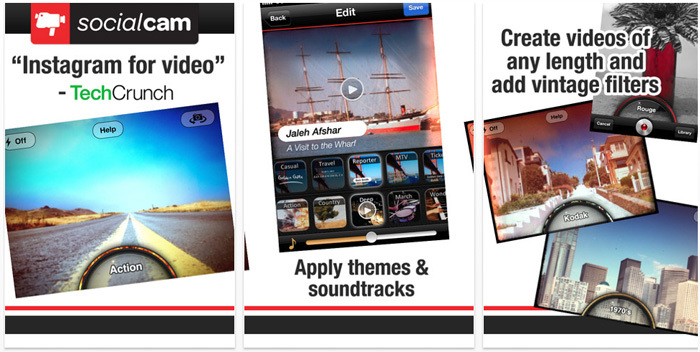 Finding any awesome free apps for your iPhone yet?